Usually trunkless, but can sometimes grow to 6 feet tall. 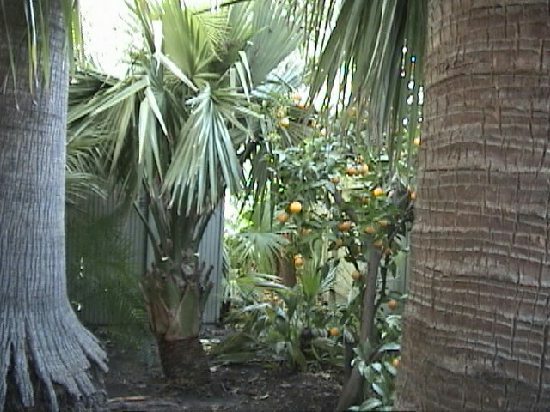 Plants will survive temperatures approaching 0�F which will cause defoliation but new leaves will emerge from the ground in the spring since this is a trunkless palm. 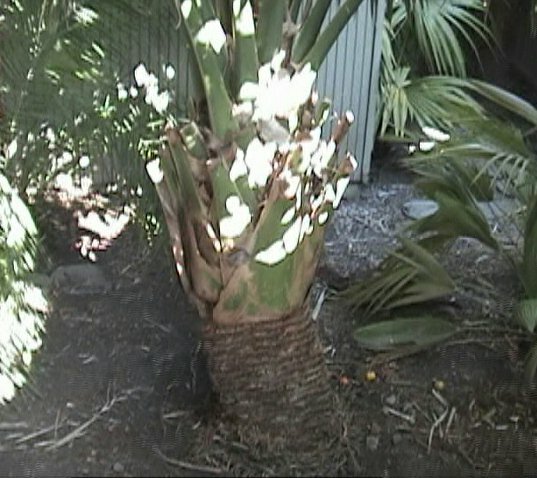 However, Sabal minor requires high summer heat to thrive and is marginal in areas with cool summers. There is a variety of minor called Louisiana which typically forms trunks up to 6 feet tall in swampy habitats. Photo #2 is the trunk of the Sabal Louisiana form. 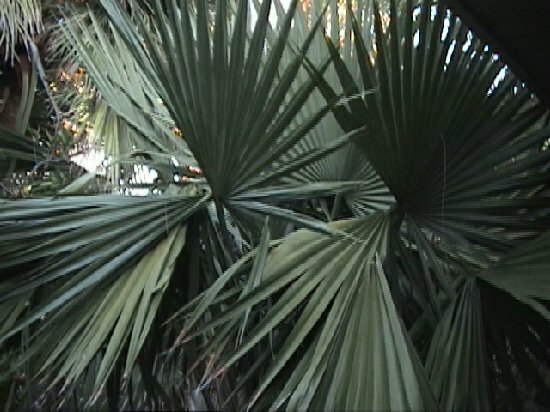 There are distinct differences in the form which include a non costapalmate leaf and the flower stalks are shorter than the leaves.